For many procurement organizations, catalogs have become the default way to manage indirect spend. It’s easy to see why. Catalogs offer a simple way to manage recurring, low-value purchases. 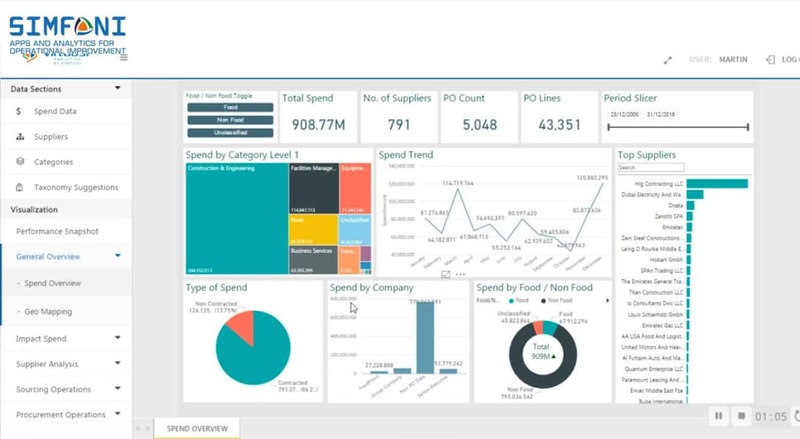 By grouping previously sourced categories and commonly requested items into a single interface, catalogs promise ease of use, efficiency and, of course, increased savings, especially through the reduction of maverick spend. In practice, however, catalogs often create as many new problems as they solve. Between the costs in dollars and time companies waste in maintaining them and the fact that they rarely give users the best price for a needed item, a misused catalog solution can actually create considerable downsides for a business. To help you understand these common pitfalls, here are three reasons why catalogs can’t be trusted to manage low-value spend — and how you can go about protecting your organization. Catalog-based solutions are supposed to make buying simple and quick. But for end users, suppliers and procurement, a catalog can quickly go from solution to time-sucking nightmare. The problem starts when end users sit down to buy something. Every second that end users encounter an obstacle or delay to making their needed purchase, they’re inching closer to spending more in resource time than they will on their chosen item. Whether it’s login access issues, navigating duplicate catalogs to find the right one or scrolling through lists of similar SKU entries to understand all of the differences, any results other than a nearly immediate purchase starts to become a waste of time and money for the business. Procurement can try to keep end users up to date on the available choices and selections for corporate catalogs, but ultimately, they’ll start to encounter the same problem: maintaining such an effort diverts procurement resources away from more important projects, like resourcing a major category. What’s more, since end user needs change frequently, catalog data ages fast. This requires procurement organizations to constantly update catalog content regardless of whether the catalog might be used or not. Even when used efficiently, catalogs are notoriously bad at securing the new savings opportunities procurement is expected to deliver year after year. For starters, catalogs become out of date soon after they are created. The prices may look fine to the average end user, but the savvy procurement professional knows that within a given category can lurk multiple opportunities to lower spend. Scenarios such as discontinued stock, special deals and large volume orders(when there is sufficient enterprise demand to justify them) can all deliver considerable savings. But these opportunities are invisible to the catalog user. The essential feature of the catalog is also one of its greatest flaws: they’re static. In the modern consumer buying world, business users have come to expect that their purchasing technology must also be a global, virtualized, real-time, searchable database. But they’re not. In fact, if your procurement organization didn’t competitively benchmark items while it was setting up the system, your catalog may never have had the best prices — to say nothing of fluctuating prices that could have dropped even lower or new specifications that could have been introduced. Missed savings are one issue, but the worst-case scenario for catalog misuse arises when users introduce hidden risks to the purchasing process. The most common among these risks is price creep. Despite their intended use to facilitate spot buys at low prices, catalogs often end up coaxing users into dubious deals. results to find a preferred rollerball pen, when the cheaper Biro on the first page would work just as well. The standard corporate catalog does little to prevent such behaviors, leaving a mess of unmanaged tail spend for procurement to clean up. Still, the above users at least stayed within the pre-approved confines of the catalog. But if they couldn’t easily find what they were looking for, they likely decided to go rogue. If procurement is lucky, the user will only make a quick spot buy on a consumer-facing site. In more dangerous cases, however, stakeholders may take too much initiative, identifying a single supplier and contracting for needed bulk items without taking necessary precautions. Such a decision can expose the business to supplier fraud or the risk of purchasing unethical materials. Since catalog users are rarely focused on anything other than getting their desired item at what they deem reasonable prices, procurement has no means of intervening to select qualified, reliable suppliers — to say nothing of advancing corporate social responsibility (CSR) initiatives such as selecting minority suppliers. To be sure, catalogs do offer a range of benefits that improve the purchasing process. They become dangerous, however, when procurement organizations are overly reliant on them. Rather than a one-size-fits-all approach to managing low-value spend, procurement should think of catalogs as one tool of many within its solution set. 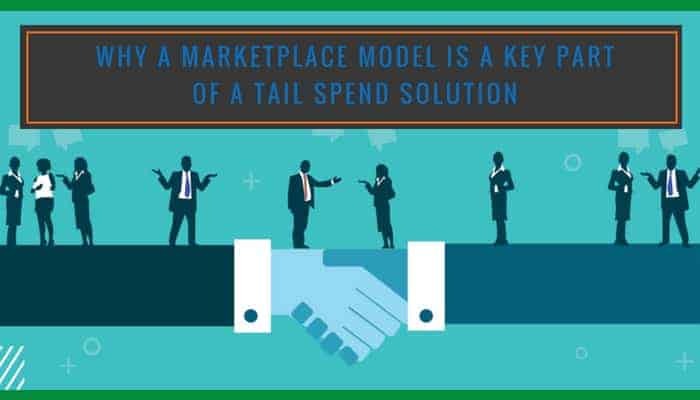 One example of this strategy is how Simfoni, a solution provider specializing in tail spend management, Tail Spend Solution, structures its offerings. Simfoni segments low-value purchases into two groups: managed Tail Spend Solution and self-service purchasing. To support this division of labor, Simfoni takes a marketplace-based approach supported by a managed service. In this model, no catalog maintenance is required. Users have a single point of entry for all requirements: the Purchasing Platform marketplace. The marketplace aggregates SKUs from the most commonly used vendors in one place and with prices negotiated based on significant volume leverage. low-value categories efficiently, leveraging category experts and without exposing the business to unnecessary risks. The system encompasses all necessary order approval workflows as well and best of all there are no service charges, license fees or maintenance costs. For custom requirements that are unique to a particular business, Simfoni will upload the particular catalog to the marketplace so that users can continue to use that vendor within the same self-service environment. Clearly, declaring the corporate catalog dead would be misguided. By learning to identify the most appropriate and safest uses for catalogs, practitioners can apply them when and where they are needed, leaving stakeholders to focus on their work while prioritizing broader procurement goals.